Slater, Dashka. 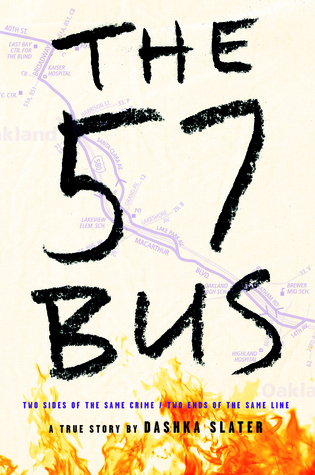 The 57 Bus: A True Story of Two Teenagers and the Crime that Changed Their Lives. Farrar, Straus, and Giroux BYR, 2017. I was living in San Leandro, CA, right next to Oakland, when this event occurred. 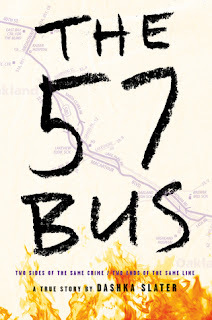 I remember the news stories; I remember hearing about the "skirts for Sasha" day, and I remember being scared for my spouse, who is trans, who also occasionally used the 57 bus to get home when the BART wasn't working or was going to take too long. This was an amazingly well done account of this event. The story is written in a highly compelling and readable fashion, and the author did a fantastic job delving into the background of both the victim and the perpetrator, to the point where even I felt some sympathy for the perpetrator and the situation he was facing with a possibility of being tried and imprisoned as an adult. Highly recommended.